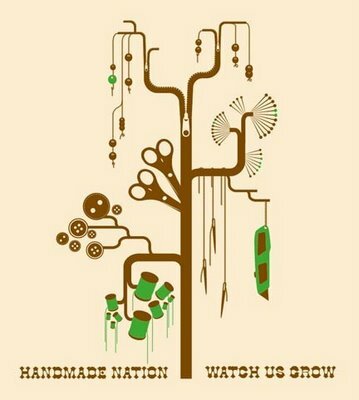 I’ve been dying to see Faythe Levine’s documentary Handmade Nation since I heard about it almost two years ago. The premier is finally here! I’ll also be moderating a panel discussion after the screening between Faythe, artist Mandy Greer, & typographer/illustrator Kate Bingaman-Burt! This entry was written by tvecallie, posted on February 2, 2009 at 9:20 am, filed under New York and tagged faythe levine, film, handmade nation, MAD, panel discussion, premier. Bookmark the permalink. Follow any comments here with the RSS feed for this post. Post a comment or leave a trackback: Trackback URL.